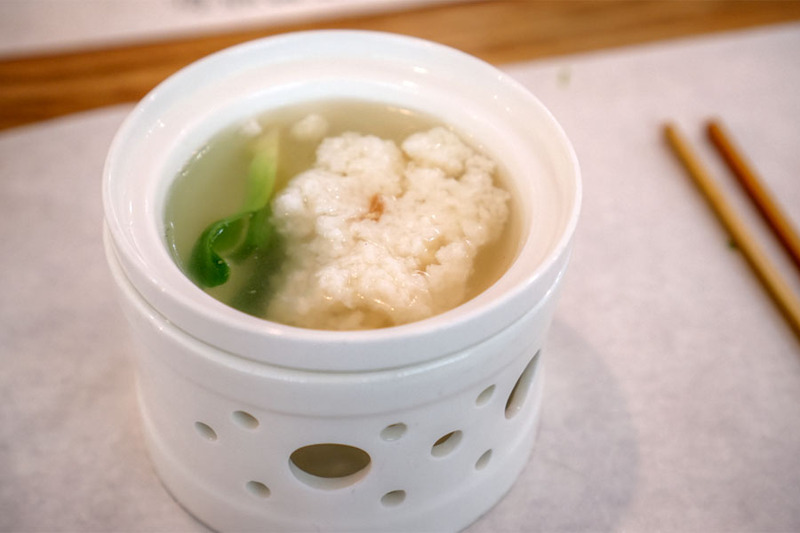 No, the SGV's newest Sichuan restaurant isn't a joint venture between Chengdu Taste and Szechuan Impression, nor is it an offshoot of the identically-monikered joint in Chicago. 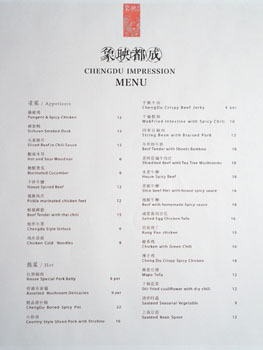 Rather, the place is a branch of a Chengdu restaurant that apparently dates back to September 2004, and which later spawned several dozen other eateries throughout China. 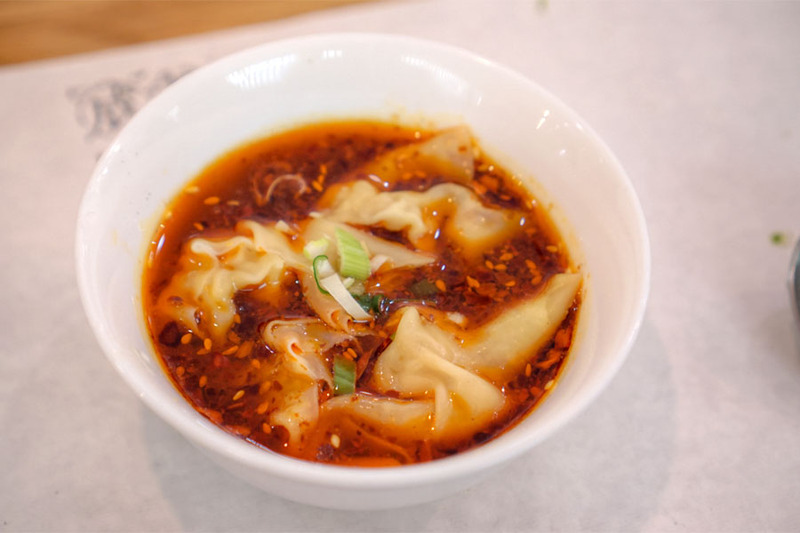 Helmed by Chef Wang Bin, the group's first US location opened in February in an oddly laid out building that was previously home to tapas spot La Luna Negra, The Patio Mediterranean Cuisine, and Cafe De Lilly. You're probably going to enter through the rear, next to the downstairs dining room. Note the artwork, ostensibly from Chengdu-based artists, and which will eventually be for sale I'm told. Left: You'll continue on to a long hallway the runs through the middle of the structure, while off to the side is the kitchen. 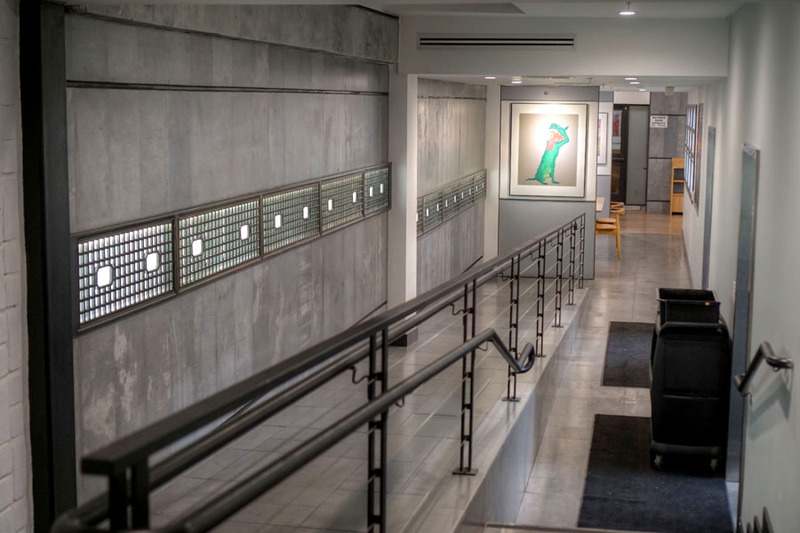 Right: Here we see the area directly above, on the second floor. Private dining rooms are off to the right. The main upstairs dining area. There's also a covered patio out back, which is meant to be a gaiwan cha tea bar. It didn't seem to be in use on this particular evening. Menu-wise, we went for the much-bandied-about "omakase" (the term is getting way overused), priced at a special $48 a head in celebration of Taste LA Asian Restaurant Week. 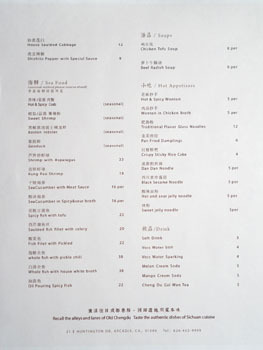 If you prefer, there's also a complete à la carte selection as well. As far as beverages go, there's wasn't any alcohol yet when we went, but believe their liquor license has since been approved. Click for larger versions. 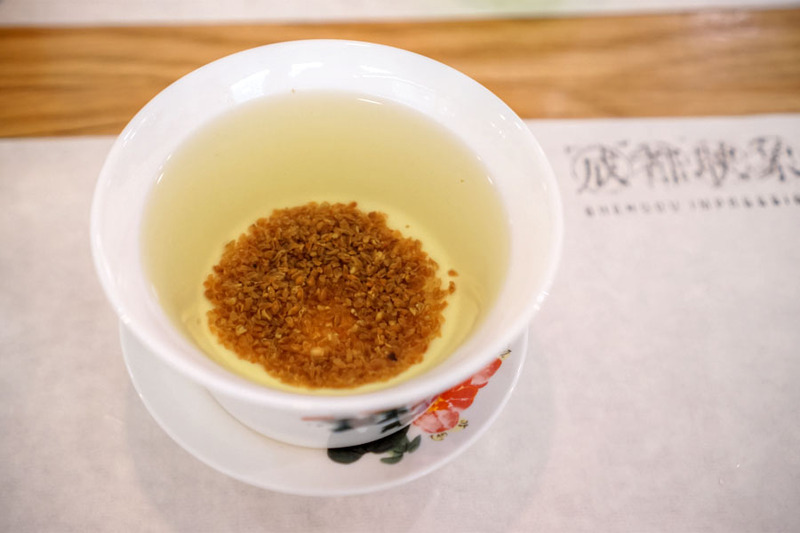 To drink, I started with a pleasantly nutty, roasty Buckwheat Tea [$5] (qiaomai cha). 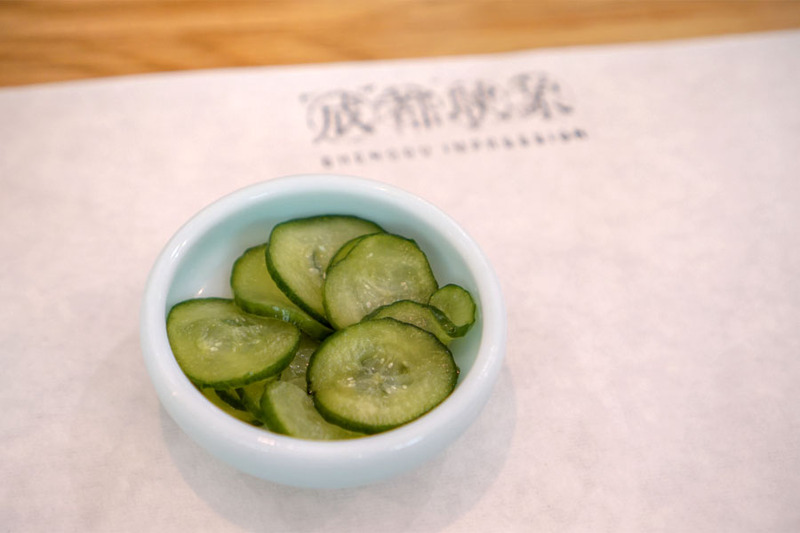 Cucumbers were crunchy and tart, with a sweet edge. Slippery, snappy mu er was a table favorite: musky at first, but finishing with a long-lasting burn. Next was a plate of three small starters. Braised pork came in handmade buns. The meat was well-spiced and fatty, and the bun not too dry, but it all could've been served warmer. Chicken spring rolls were bright and crisp, though they wouldn't have offered up much in terms of flavor had it not been for the vibrantly green, numbing, Szechuan peppercorn-enriched sauce provided. 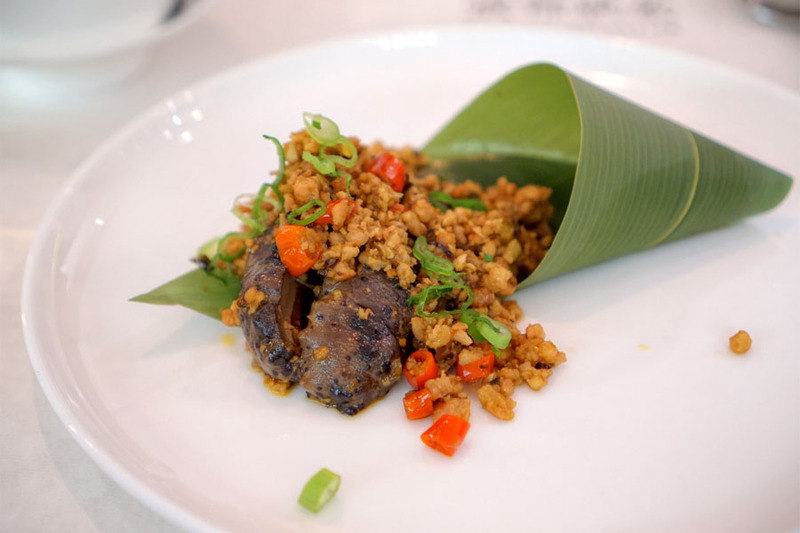 Last were the beef tendons marinated with chili oil and more hua jiao. These were on point, coming out chewy and firm, with a lovely lingering heat. 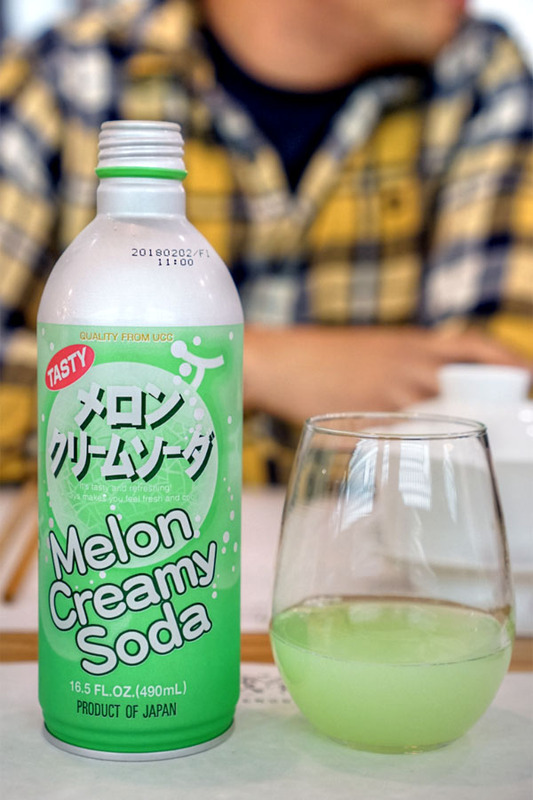 The Melon Cream Soda [$5] looked better than it tasted--think bubblegum mixed with extremely artificial, candied melon. It was a bit much, and we could only stomach a small portion each of the stuff. 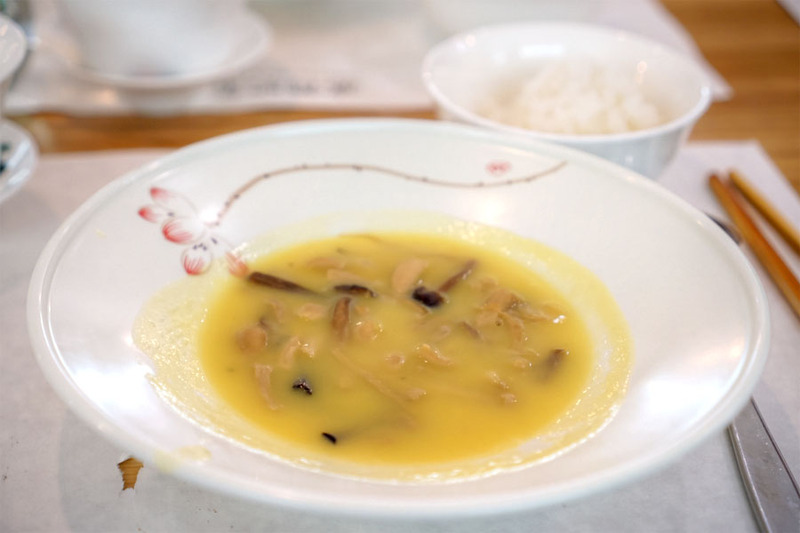 In our soup course, chicken was transformed into a super soft, silky, tofu-like substance. It still had the essence of the bird though, and was further enhanced by the soup itself. I did appreciate the contrast from the bok choy, as well as the additional hits of salt provided by the meaty bits. 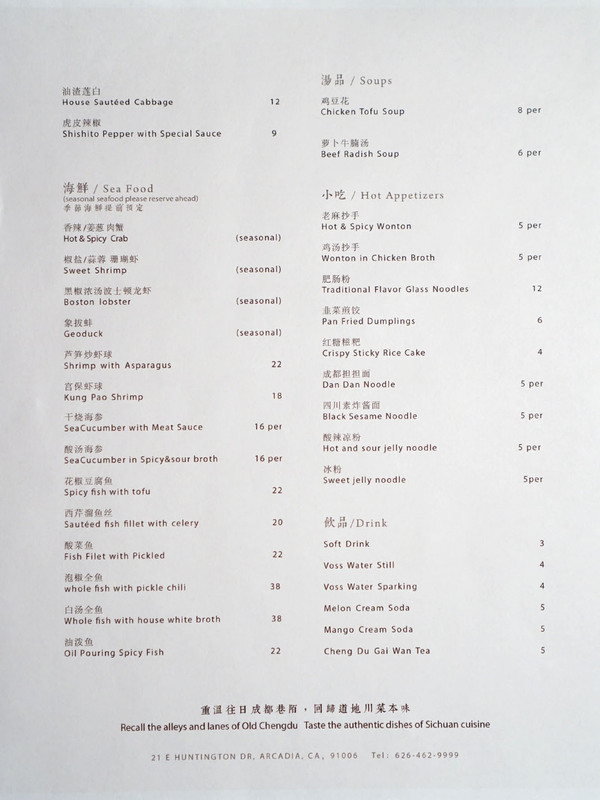 Here, two whole sea cucumbers were topped with braised pork. 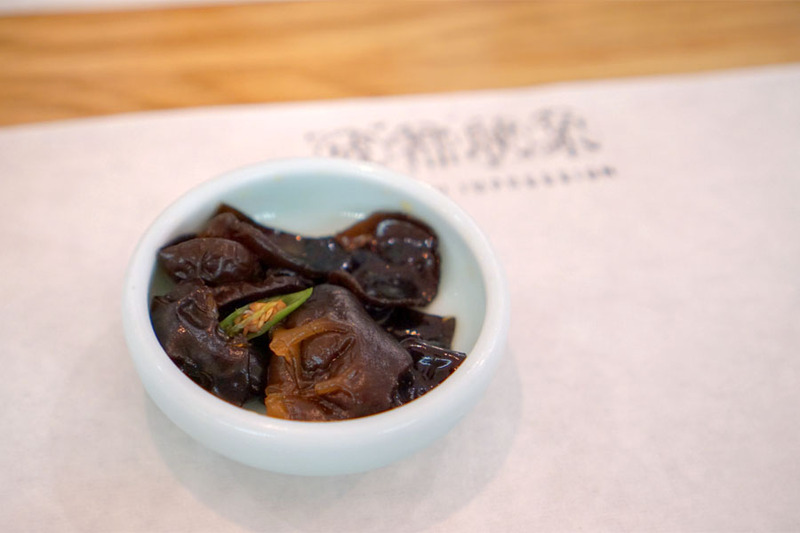 As expected, the haishen were slick and gelatinous, and not particularly flavorful save for a bit of funk. However, they did pair swimmingly with the spicy, savory pork (which was delicious just by itself). 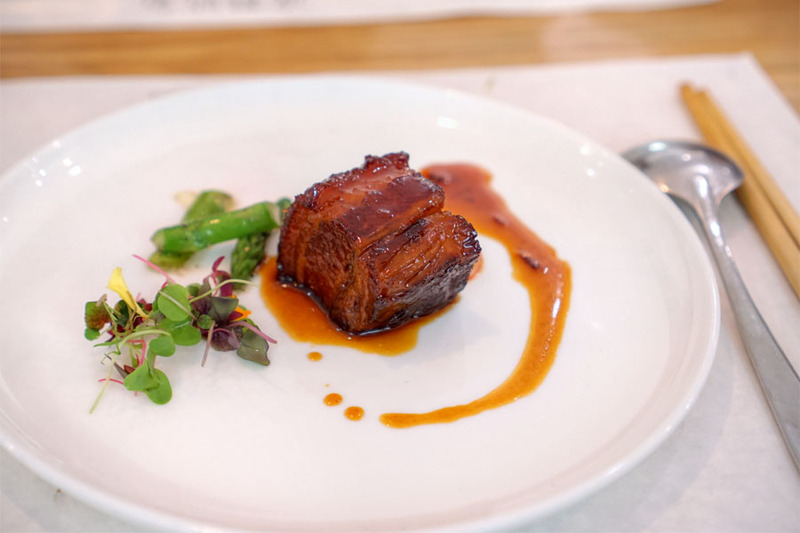 Red cooked pork belly, braised in red wine, was another favorite thanks to its super tender consistency, crisp skin, and rich, sticky flavors commingled with sweet spice. I also enjoyed the crunchy counterpoint provided by the asparagus, as well as the zesty greens. 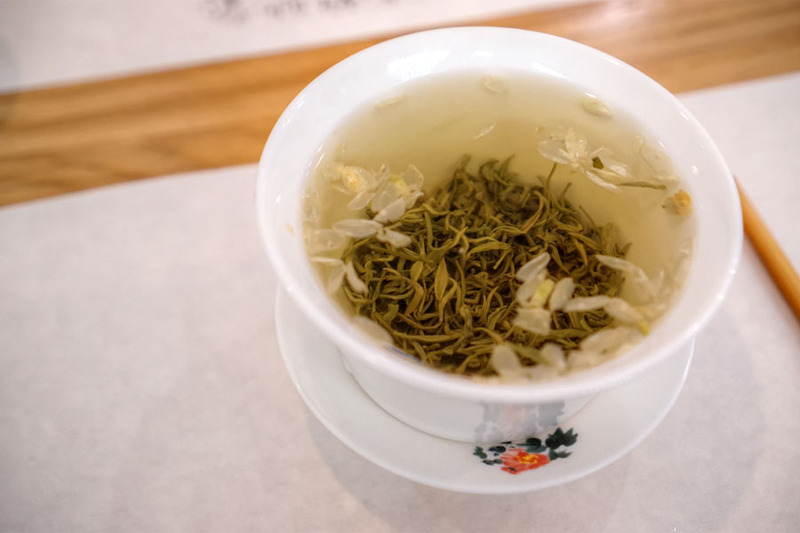 The Jasmine Tea [$5] (molihua cha) showed off its signature fragrant, floral nature. 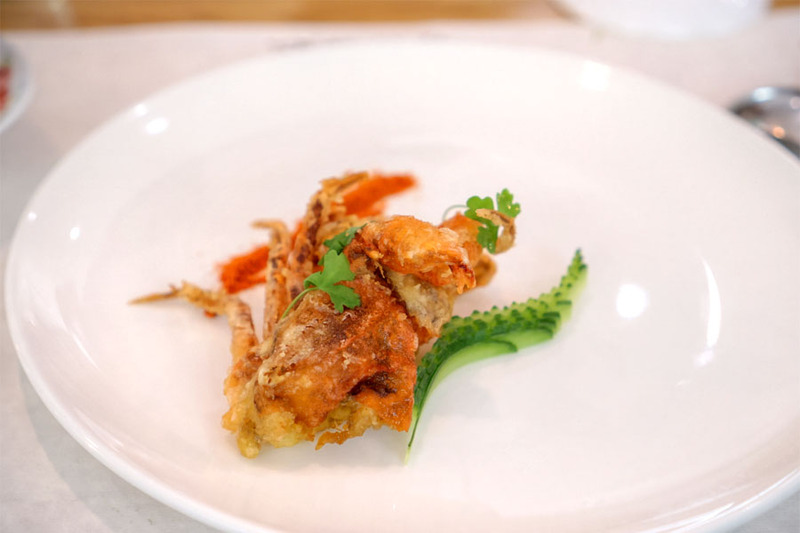 I wanted the soft shell crab to be crispier, and less lukewarm, though what we were served mostly sufficed. I did find the crab to be generally well-seasoned, with an apparent brine that was well-matched with the spice mix on the side. Chicken, duck, and beef spare ribs went into a viscous, long-cooked broth, though I didn't find the flavors here to be particularly deep or developed. The mushrooms were nice and springy though, and the whole thing did pair well with the included rice. Hong you chao shou-like dumplings were satisfying, the relatively restrained, porky filling definitely making sense with the numbing chili oil. I could've used a few more of these guys. 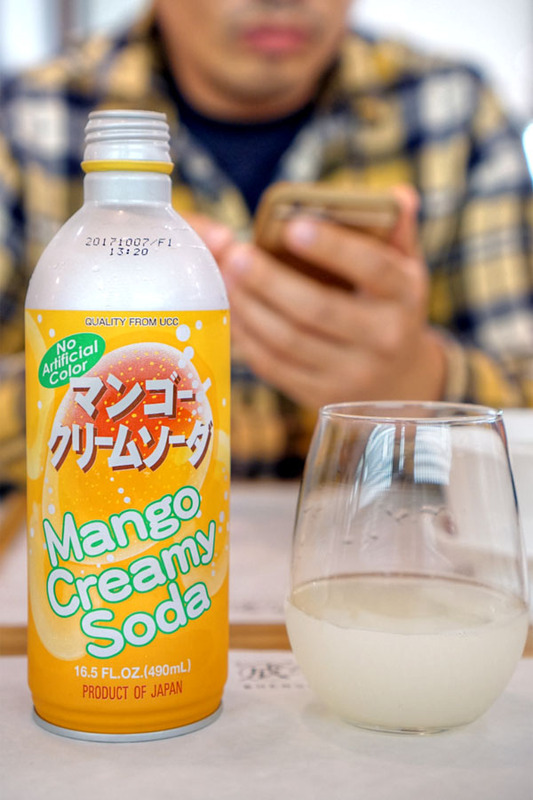 The Mango Cream Soda [$5] was much better than its melon counterpart, and surprisingly non-yellow. This one had a flavor profile that I'll describe as a mix between dried mango and mango bubble gum. 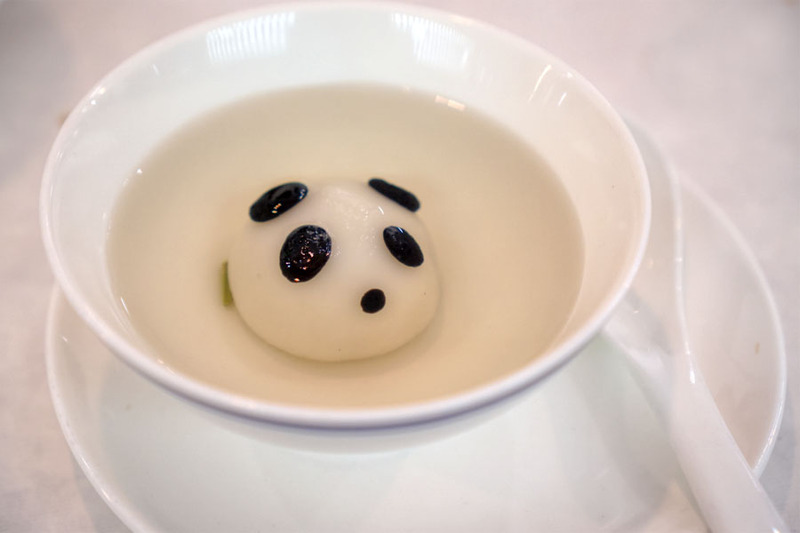 Last up were the Instagram-infamous panda dumplings (to their credit, pandas are indeed mostly found in Sichuan province). 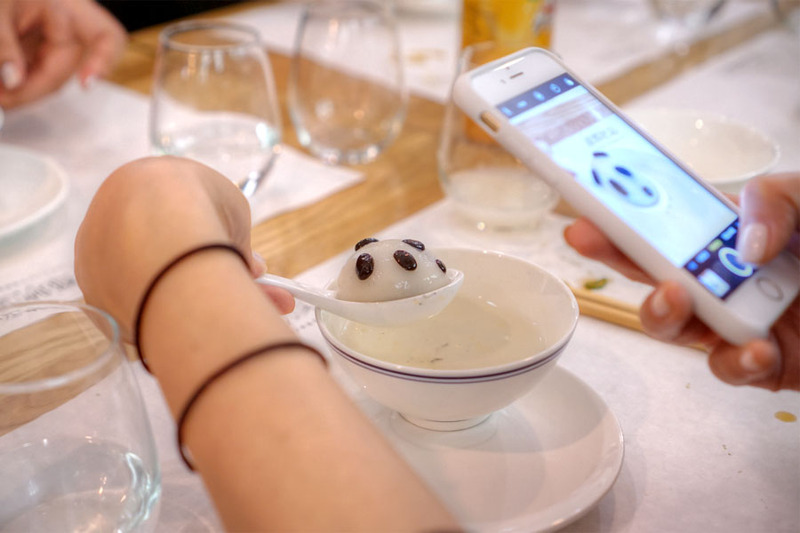 They were basically tangyuan (black sesame balls), and tasted as such. A more flavorful broth would've been nice though, in place of the tepid water provided. 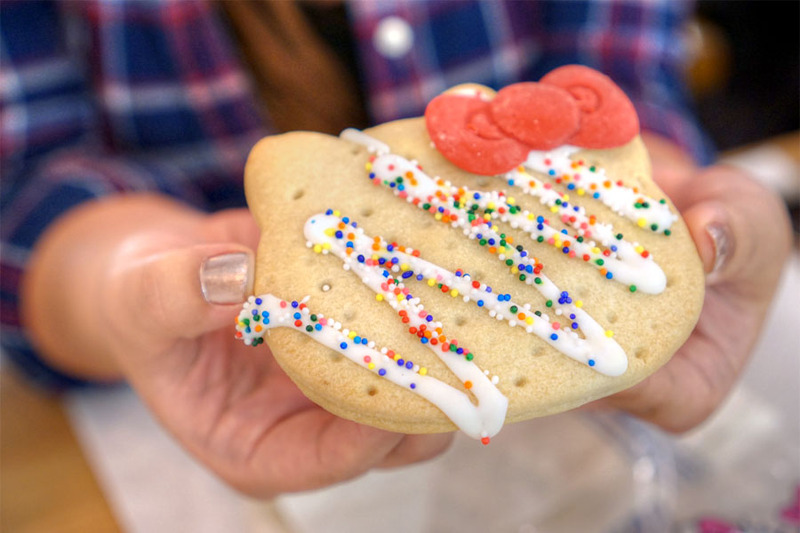 Speaking of cute food, one of my dining companions was at the nearby Hello Kitty Mini Cafe at the Westfield Santa Anita earlier, and picked up a Hello Kitty Pocket Pie. Think of this as a strawberry Pop-Tart, but shaped, of course, like Kitty's cranium (replete with chocolate bow). In the end I'm not entirely convinced that a tasting menu is the best way to experience the cooking here. 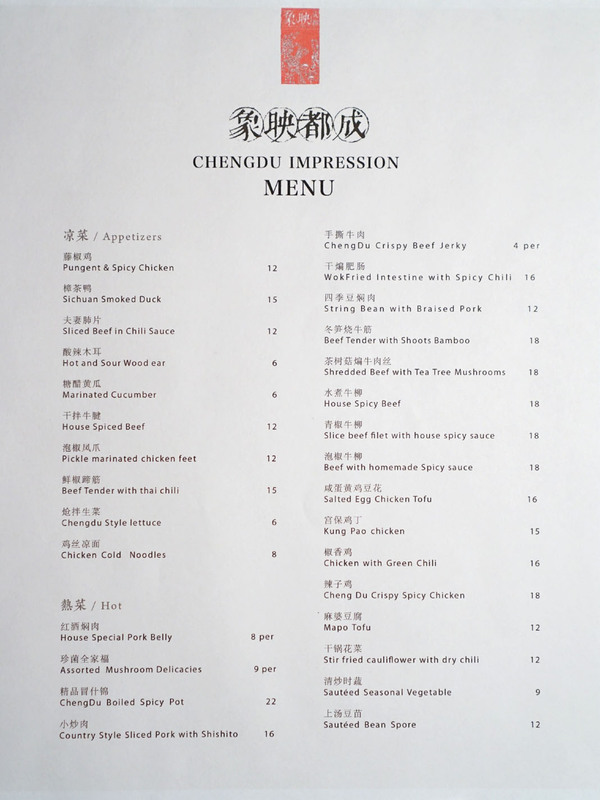 However, I do like the restaurant's daring in even attempting something like this, and I do appreciate how the food differs from LA's Sichuan cuisine status quo. 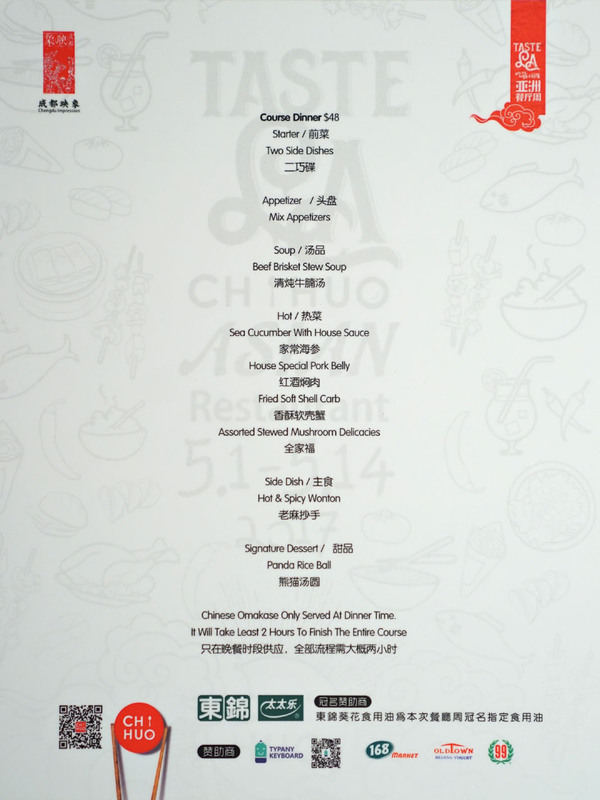 I may have to go back for the à la carte menu. 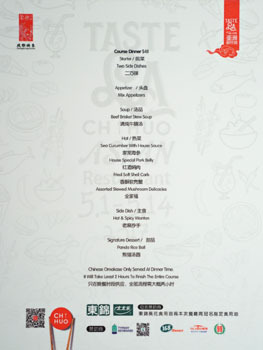 I'm not sure the individually plated deal does Chinese food any favors. 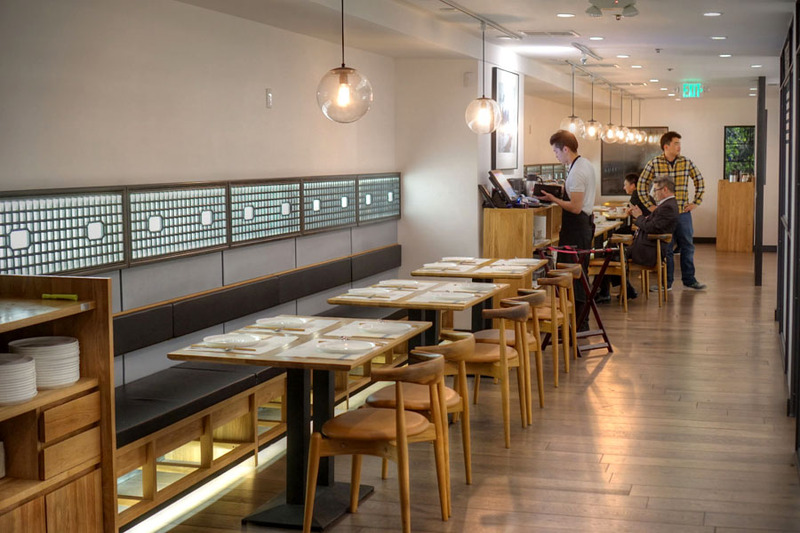 Plus with the Omakase and the enormous variety of a Chinese menu the lack of choice isn't necessarily a good thing either. I assume the ala carte is plated "normally" (i.e. family style)? 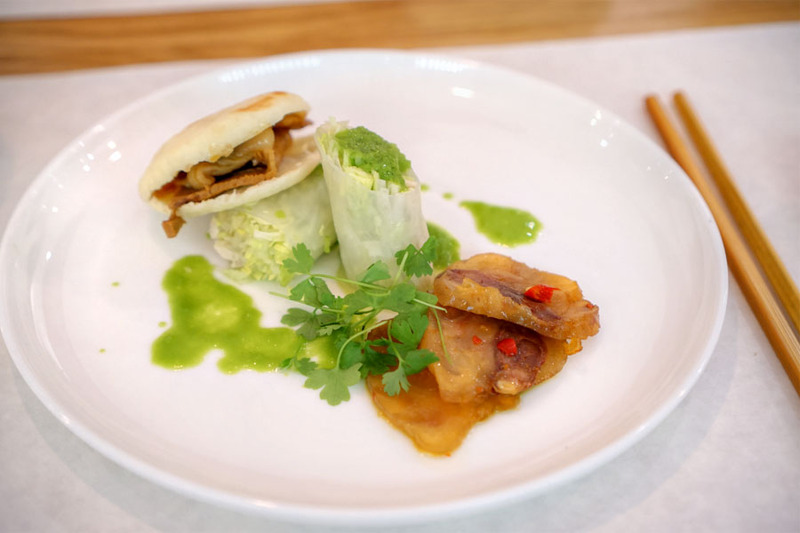 Andy: Yup, from what I've seen, a la carte dishes are plated as one would typically expect. Anon: That's the question, but I suspect it to be the case.